I wouldn’t go for the first one as it’s so similar to your kit lens, and bar the IS, I don’t think it’s much different. You’re getting great shots from your current lens and I don’t think this one will add too much more. The L lens is nice, but 18-40 could be a little too little zoom (for my liking at least). You could find yourself frustrated and having to change lenses often. So… what to do? I have two lenses, the kit lens (like yours) and the 70-300 IS USM canon lens. I’m reasonably happy with the 300 lens and in fact really enjoy the lens a lot of the time. I get the best shots at about 200mm at several meters distance. The lens does get fairly soft at 300mm when taking a shot of a distant subject… not unexpected though. The problem that I have is that I end up switching between lenses all-the-time… which is frustrating, because dust invariably gets into the body and it’s just a pain to carry around multiple lenses. I noticed the Canon EF-S 18-200mm f/3.5-5.6 IS is listed at R7800 on orms.co.za. It’s not particularly fast (about the same as my 70-300) but it’s fairly wide, zooming to a really nice 200mm, covering a great range. If you did however have R7000/R8000 to spend and if you could decide you were happy with your 18-55 and don’t mind swapping lenses, then consider the Canon EF 70-200mm f/4 L USM at R7300. You’ll have great glass with f4 across the entire range. No is though… which is kinda important at 200mm… but perhaps compensated for with f4 at 200mm. Then… you have to consider the Canon EF 50mm f/1.8 II fixed lens at R1200! Damn, that’s a pretty fast lens hey? 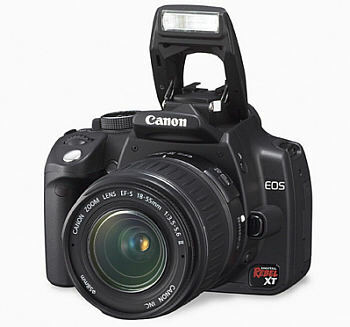 The f1.4 version is only R3900… you should be able to shoot in near darkness with that one! On a final note, don’t discount Sigma and Tamron. They have some great lenses. Just take note if you look at Tamron that the zoom twists in the opposite direction to the Canon lenses. This annoyed me intensly. 🙂 Not sure about which way Sigma lenses twist. thank you so much for your detailed response. firstly – i’m off today to try and source the “nifty 50” – the 50 mm f/1.8 – I can’t believe that I’ve missed having this “essential bargain” for so long… That should at least solve some of my problem – that of shooting 90% of my photo’s in the sub 100 mm range – with sub-standard glass. I guess that is why I am considering something like the 17-85 mm to replace my kit 18-55 mm – if I’m spending so much time in this range, I’d like it to at least be good (if not quite “L”) glass. At this point I have enough money to buy one lens (barring the 50 mm), and while I do miss my 70-300 mm Sigma (old Minolta 35mm SLR), a long lens will have to wait for a while. I have also been looking at the 18-200 mm – it seems like an ideal compromise for me – it has the range, speed is OK (if you want f/2.8 it’s gonna cost), and has IS – but do you have a feeling for the quality of the glass? I’ve been warned that the quality decreases as your lens “range” increases. If the photo quality were to be equivalent to say the 17-85 mm, or even the 17-40 mm (:-) ) – then this might just be the one. PS. I just love your guys website – I have it in my Bloglines so as not to miss any new updates – keep it up! Oh, sorry, w.r.t. my last paragraph, I missed that the first was 17-85…. which may be nice (though, still a little slow, though perhaps compensated for with the IS).